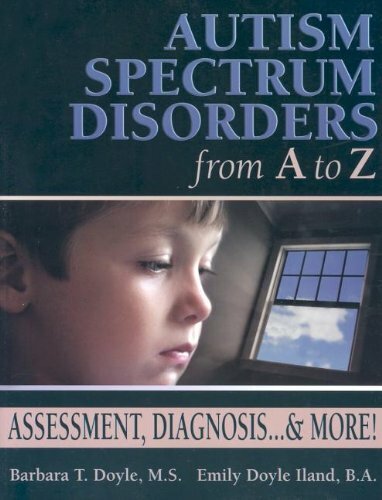 Item Nr: B 95646 Title: Autism Spectrum Disorders from A to Z: Assessment, Diagnosis... & More! A comprehensive book on autism spectrum disorders explaining symptoms, definitions, assessments, and diagnoses. The authors describe ASDs in terms of the parents, teachers, the school system, medical professionals, adult service providers, and private agencies involved.